Antelope Canyon Soft Light - The antelope canyon outside of Page Arizona are incredible sites to see. 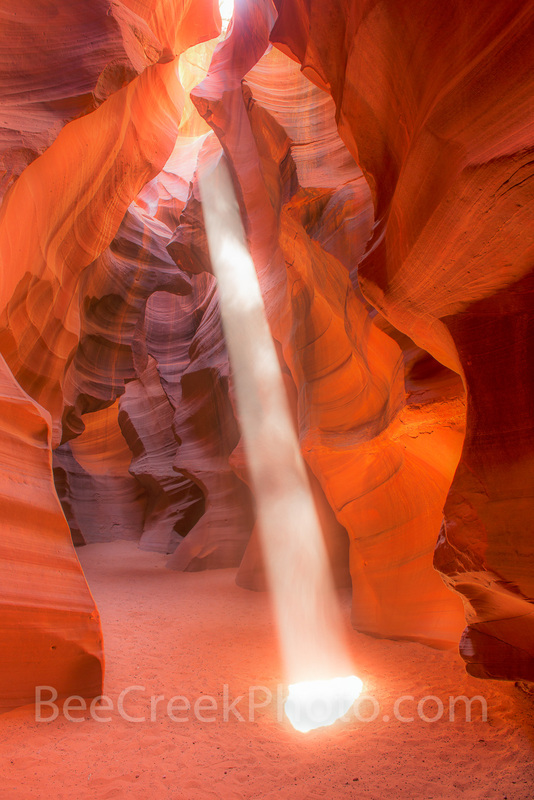 The wind and water have formed these slot canyons. Through all the erosion process they hae exposed the walls of sandstone with the layers expose. What I love was all the different shapes and colors the waters have expose over time. It can be a danagerous place if there is rain upstream as eleven people died in Aug 1997 when there was a flash flood upstream that ran into the slot canyons before the people were aware of the situtaion as it was not raining there. Since then the have install some early warnings signals and the ladders are now bolted into the canyon walls. Photo © copyright by Bee Creek Photography - Tod Grubbs / Cynthia Hestand.